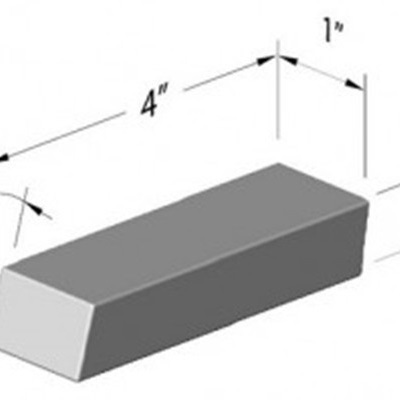 The name of the Angle Strip Tungsten Bucking Bar indicates itself, that it is available in a cuboidal shape. It is manufactured by using optimum grade tungsten metal for multiple industrial applications in different industrial sectors. Our Strip Bucking Bar is immensely popular amongst clients for its high strength, durable nature, hardness and stiffness. Angle Strip Tungsten Bucking Bar is designed by using advanced technology and can be availed in different modifications as per the desired requirements of our esteemed clients.